Dimensional diagnostic measures, such as those being proposed for use in DSM-5, reveal a more complex symptom profile for public-sector patients with serious mental illness than do categorical diagnoses, said William Narrow, M.D., M.P.H, associate director of APA’s Division of Research, at a symposium at APA's Institute on Psychiatric Services last week in San Francisco. Narrow presented a study by the American Psychiatric Institute for Research and Education in which rates of categorical diagnoses and dimensional symptom ratings were examined for patients with schizophrenia, major depressive disorder, PTSD, and substance use disorders. For each of these diagnostic groups, the dimensional ratings revealed significant comorbidity that was not captured by the DSM-IV categorical diagnoses. For instance, among patients with schizophrenia, 10 percent had anxiety symptoms that were rated as “severe,” and 73 percent had symptoms of anxiety that were either “mild” or “moderate.” Yet only 6 percent had received a diagnosis of anxiety. 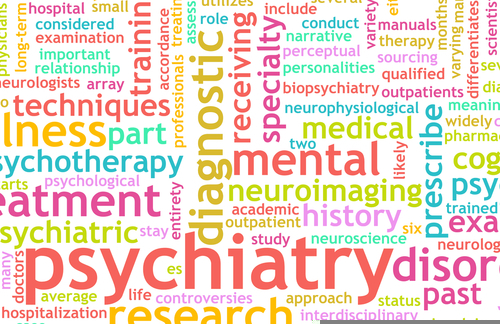 Psychiatric News is running a series of articles titled “DSM-5: Advancing Diagnostics” about proposed changes to the manual, including the dimensional measures that are being proposed. See Psychiatric News here and here.